This year’s ceremony was held on home ground, at The Hill Café at Constitution Hill. Over 180 attorneys, advocates and friends attended the event. Our Master of Ceremonies was David Lewis, Executive Director of Corruption Watch, and we were honoured to have the Public Protector, Advocate Thuli Madonsela as our keynote speaker. 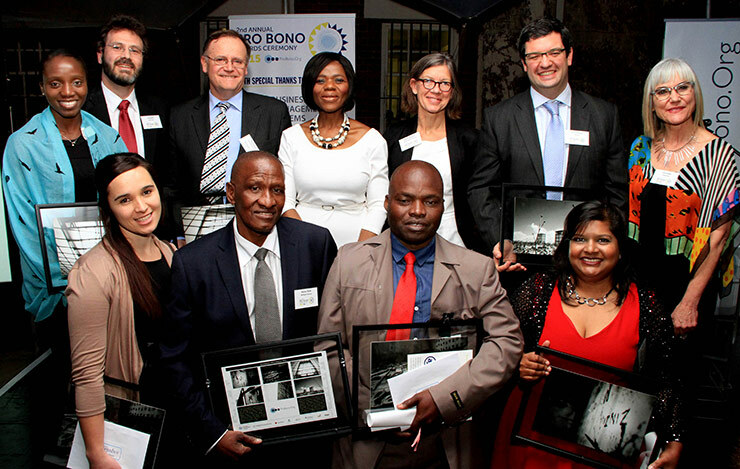 by pro bono attorneys, law firms and advocates to the lives of low- income people in South Africa. While last year’s awards were based on hours worked, the categories this year focused more on the quality and impact of pro bono work. New categories of Human Rights Champion, Children’s Rights Defender and Students at university law clinics were added. 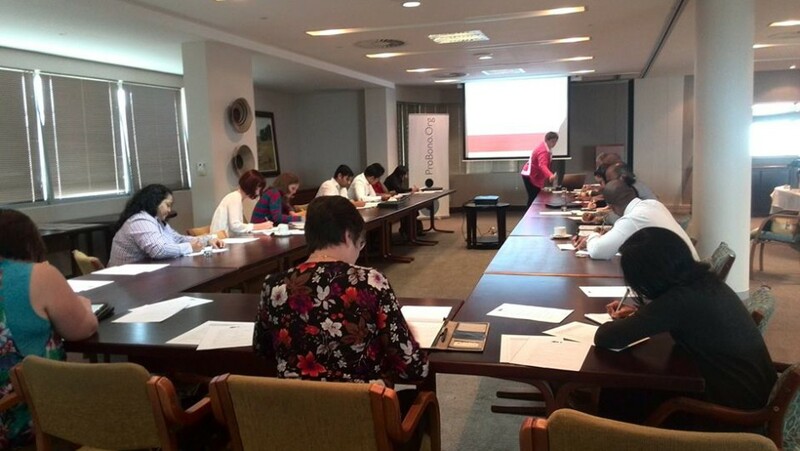 ProBono.Org Durban hosted a seminar on Drafting of Lease Agreements in terms of the Consumer Protection Act. Ms Jenny Finnigan of Shepstone and Wylie was the presenter. 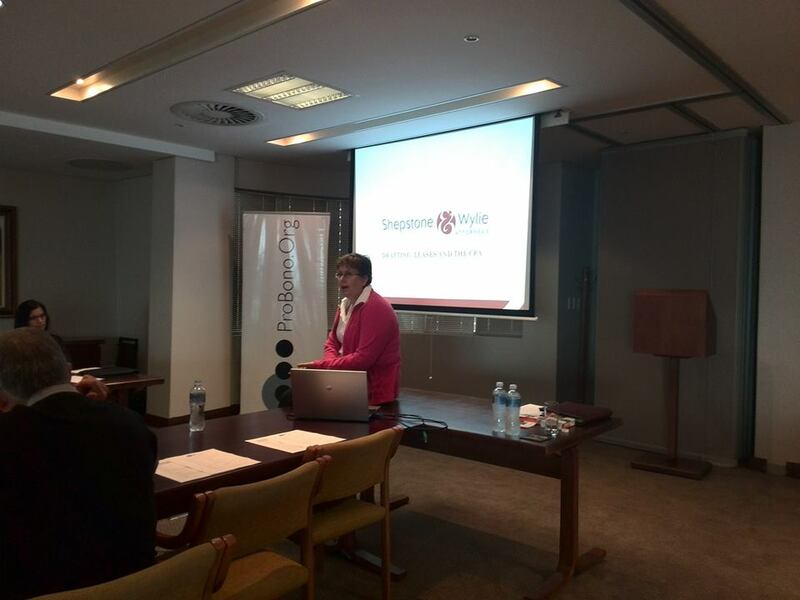 The seminar was held on Friday, the 27th of November at the offices of Shepstone and Wylie in Umhlanga. Attendees found the seminar very useful. 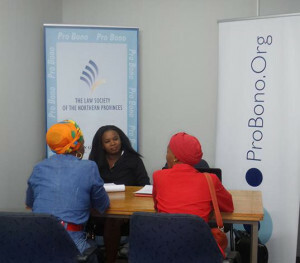 Probono.Org Pretoria has set up a legal clinic at the Domestic Court in 174 Visagie Street Pretoria to support the 16 days of activism against gender-based violence campaign. 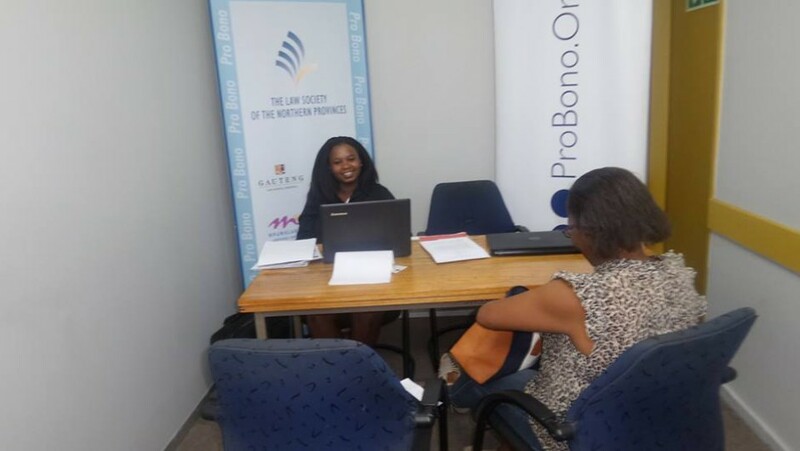 The clinic was staffed by Advocate Mulalo Makhomu today and will continue to operate for a week for members of the public to receive probono legal assistance.